Robert Rowan from Kirkcaldy, the technical director at Brentford Football Club, has died at the age of 28. The tragic news was confirmed by the English Championship club this afternoon, where he had been employed since late 2014. 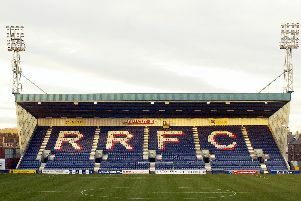 The former St Andrews High School pupil spent three and a half years as the club's head of football operations before becoming technical director in February this year. He previously worked as sporting director position for Stenhousemuir and also a scout for the SFA and Celtic. A Brentford statement read: "All at the club have been left devastated by the news. "All our thoughts are with Robert’s wife, his family and all his friends – many of whom work at Brentford FC."